Emerging infectious diseases. Adequate food and safe water. Access to education. Women’s well-being. Childhood mortality. Biodiversity loss. Climate change. The major public health challenges of our time demand that we reach across disciplines and intentionally collaborate to ensure sustainable health for all—all people, all life, even the planet itself. At the University of Wisconsin-Madison, the Global Health Institute (GHI) builds on an institutional legacy of cross-sector collaboration and community engagement to advance global health. This legacy is defined by the Wisconsin Idea, which suggests the boundaries of the university must expand to include the world, and it pushes GHI to catalyze and convene faculty, staff, students, and practitioners from every discipline and from communities around the world. Together, these partners address how social, medical, economic, political, and environmental factors influence well-being. Through interdisciplinary programs across the educational spectrum and with its history of global outreach, GHI also inspires and trains the next generation of global health practitioners and leaders. The One Health concept brings human health and veterinary medicine students together on projects that benefit all. 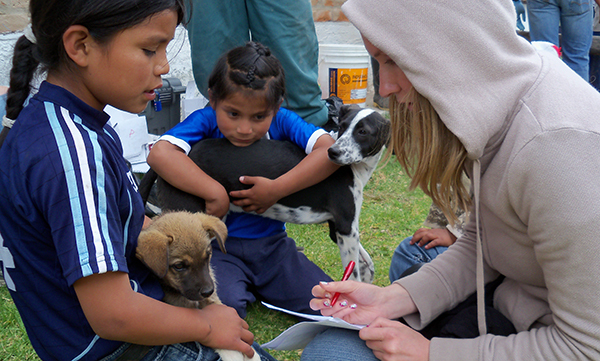 Here, medical students distribute dog wormer in Ecuador. GHI’s mission to bring the energy of the whole university to bear on global health challenges is rooted in the Wisconsin Idea, which aims to put education and research at the service of improving quality of life in Wisconsin and across the world. It’s manifest in the university’s acknowledged role in establishing the state’s dairy industry and discovering and applying Vitamin D for health. It pushed the university to establish the Division of University Extension to share knowledge across the state—seven years before the federal government founded the Cooperative Extension. Today, the commitment to multi-sector collaboration can be found in some of the campus’s pre-eminent initiatives, including the Wisconsin Energy Institute, the Wisconsin Institutes for Medical Research, the Nelson Institute for Environmental Studies— and the Global Health Institute. This is a public land-grant university with more than 43,000 students, 21,000 faculty and staff, the fifth-highest research expenditures in the nation, and the highest number of Peace Corps volunteers. The roots of its collaborative culture can be found in a late-1800s decision to incorporate the more practical land-grant colleges into the existing University of Wisconsin instead of following other states to establish separate land-grant institutions. That decision brings together 21 schools, colleges, and institutes—including medicine and public health, agriculture and life sciences, veterinary medicine, pharmacy, nursing, law, engineering, arts and sciences, human ecology, and business—on a single, central campus. The earliest discussions about formalizing UW-Madison’s global health activities grew out of student interest in international experiences, faculty and staff desire to expand international health programs, and the university plan to accelerate internationalization. Leaders from medicine, pharmacy, nursing, veterinary medicine, and international studies saw the potential for a global health center that would address health disparities through lasting interdisciplinary collaborations, producing benefits for all. The Center for Global Health (CGH), established in 2005, morphed into the Global Health Institute after the university’s reaccreditation study reaffirmed that interdisciplinary research is “at the creative center of UW-Madison’s mission” and necessary to confront complex challenges. The institute was the first of its kind in the nation to focus on the root determinants of health from across multiple sectors. It connects collaborators through its programs and relationships, and encourages interdisciplinary projects through its Seed Grant program, designed to provide start-up dollars for projects that can then be more competitive for outside funding. 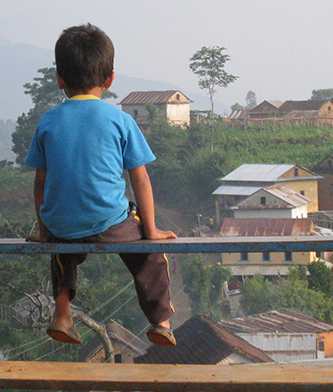 In connecting internationally-recognized scholars and practitioners with communities in Wisconsin and across the world, GHI recognizes that health issues transcend national boundaries and that local partnerships bring critical wisdom to the search for solutions. From 2007 to 2016, more than 160 students, from fields as diverse as health professions, engineering, French studies, and nutritional sciences, earned a Graduate/Professional/Capstone Certificate in Global Health. Since 2010, more than 1,000 students, pursuing 62 majors in seven schools and colleges, earned the undergraduate certificate, which is similar to a minor. Global health has become the largest certificate program on campus, now with more than 500 students participating each year. More than 1,200 undergraduate and 1,000 graduate/professional students have participated in global health field experiences that include faculty-led courses, internships, clerkships, and independent field studies. 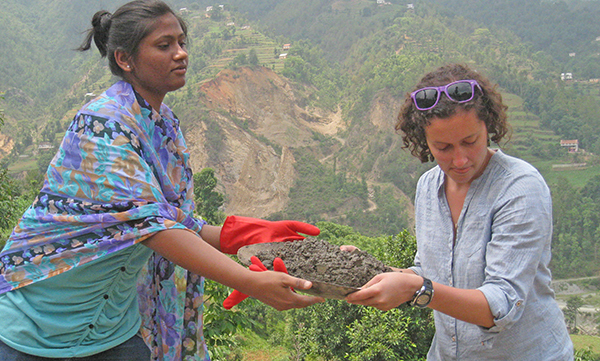 In field courses, students collaborate with communities on projects that will improve health. Here, they help gather mud that will be used to make plaster for a school’s walls. The education program, with its international field courses, was foundational to UW-Madison’s global health mission and “mobilized interdisciplinary groups around the goals of promoting health for all,” according to Cindy Haq, M.D., a professor of Family Medicine and Population Health Sciences as well as the center’s inaugural director. Those resulting collaborations improved nutrition in Uganda, bettered animal health and addressed domestic violence in Mexico, examined successful public health projects in Thailand, and much more. With deep roots in the health sciences, GHI has been central to initiatives that are improving access to health care and improving the quality of that care. The strength of our health care projects lies in the internationally-recognized researchers and practitioners in the UW-Madison global health community and their strong networks of local and international collaborators. These UW experts provide technical assistance, facilitate joint learning, and spur innovations through education, training, and quality improvement programs. An emergency room physician, for example, used a GHI Seed Grant to work with clinicians, educators, researchers, and IT professionals to develop a mobile telephone app that lets South African emergency room physicians quickly access the location-specific information they need. A pediatric infectious disease specialist works with local leaders to improve immunization programs in Nepal, Kenya, Ethiopia, and Uganda. A world-renowned palliative care leader is on the front lines to secure needed opioids for pain relief among world populations, and an obstetrician/gynecologist collaborates with local partners in Ethiopia and Wisconsin to give women in low-resource settings a range of contraceptive choices, including long-acting reversible contraceptives. Girma Tefera, M.D., a professor in the UW-Madison Department of Surgery and an Ethiopian native, laid the groundwork for extensive, ongoing projects through a bilateral twinning agreement between UW-Madison and Addis Ababa University. The work expanded from emergency medicine to family medicine to pediatrics. Residency programs, quality improvement initiatives, and training for numerous health care workers resulted from these collaborative efforts. GHI leveraged Tefera’s network to expand Ethiopian collaborations with air quality, city improvement, and energy projects. 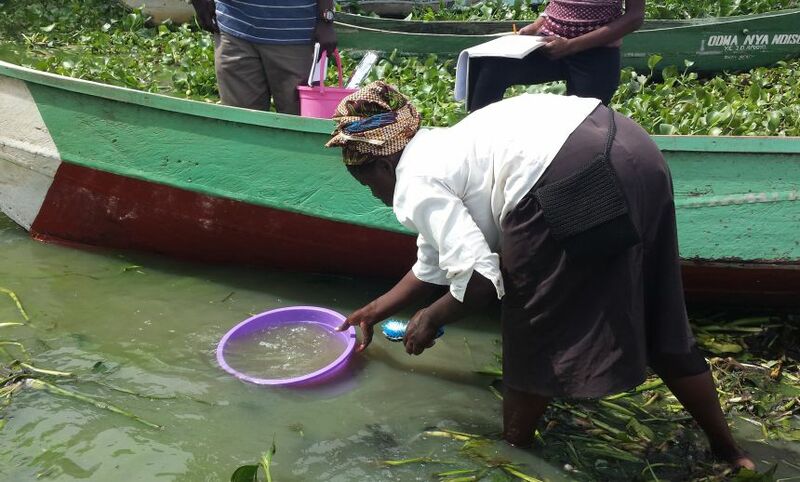 Still others are maximizing hydropower and introducing healthy, orange-fleshed sweet potatoes to farmers. Tefera welcomes the expanding collaborations in his homeland. Each year, GHI brings its health care community together to work with international health care leaders during the Quality Improvement (QI) and Leadership Institute. In six years, 111 participants from 16 countries have worked with each other and UW-Madison faculty, staff, and students to initiate or improve health-related in their home countries. 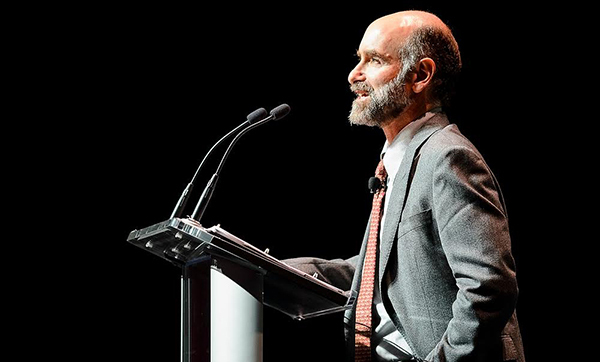 As a climate and health pioneer, GHI Director Patz is a leading global voice connecting climate change and health and recognizing the health opportunities that come from limiting fossil fuels. His work brings together engineers, air pollution experts, health and environmental scientists, and local partners to bring theory to practice and positively affect climate policy worldwide. The UniverCity Alliance, co-founded by GHI, works to foster sustainable, livable cities across the globe. In Ethiopia, teams are reclaiming Bahir Dar’s bicycling culture, addressing air pollution in Addis Ababa, and bringing electrical microgrids to rural villages. In Guadalajara, Mexico, collaborators are working with a new environmental science museum that will explicitly connect the city to the landscapes surrounding it and give people ideas that can better inform their behavior choices. UniverCity Alliance is also making the local-to-global connection. This year the initiative launched its first UniverCity Year project with Monona, Wisconsin, bringing students from a dozen university courses to work on city priorities. Plans are underway to scale up UniverCity Year throughout the state. The 4W (Women and Well-being in Wisconsin and the World) Initiative, co-convened by GHI, brings together leaders from gender and women’s studies, Afro-American studies, law, human ecology, medicine and public health, engineering, nursing, education, and more. 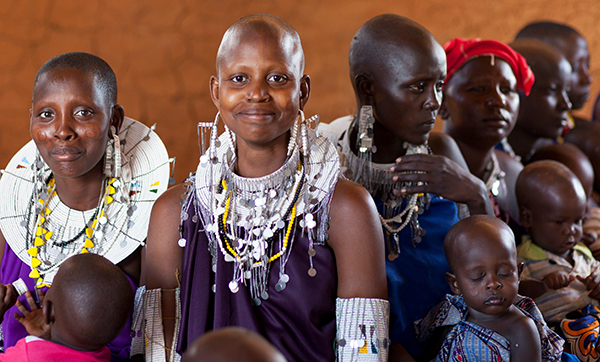 Led by GHI’s DiPrete Brown, the initiative is grounded in human-rights principles and works toward equal rights for women and girls through recognizing the role that women play in sustaining families, communities, civil society, economies, and the planet. 4W’s initial projects are contributing to the end of human trafficking, establishing equality for women and men in relationships, using motorbikes to deliver health care to rural African women, and supporting microenterprise. 4W also was key in the establishment of the UNESCO Chair on Gender, Well-being and a Culture of Peace at UW-Madison. The chair creates a global platform for 4W and underscores the university’s interdisciplinary ethic that allows faculty, staff, and students to engage with complex issues from many perspectives. GHI has, since its inception, embraced the One Health framework, as veterinary medicine experts and human health researchers, educators, and clinicians shaped the institute. The outbreaks of the Ebola and Zika viruses dramatically underlined the essential importance of understanding the animal/human interface for infectious diseases. These recent epidemics catalyzed the whole of campus, joining researchers in epidemiology, pathology, pathobiology, obstetrics, environmental health, and medical history with health practitioners and the capabilities of the UW insectarium (co-funded by GHI) and the Wisconsin National Primate Research Center. Together, they worked on solutions, from potential vaccines to mosquito control to a documentary that gave a human face to the Ebola crisis in Liberia. GHI also will be closely aligned with the new Upper Midwestern Center for Excellence in Vector Borne Diseases, funded by a $10 million Centers for Disease Control and Prevention grant and headed by two members of the GHI Advisory committee. More than ever, the University of Wisconsin-Madison Global Health Institute recognizes the unending challenges in improving the health and well-being of the planet and the life it supports. With its roots in the Wisconsin Idea and Leopold’s land ethic, GHI demonstrates how a leading public university can bring disciplines together from across campus to collaborate, rather than compete, for the social good. This model develops and supports education, research and partnerships in Wisconsin and across the world, giving students the tools to succeed in an increasingly interconnected world, opening mutually beneficial relationships with communities, and furthering science that will lead to new solutions. The path to the future lies in leveraging and fostering new and existing networks across campus, within countries, and among academic institutions, connecting ideas and action for the good of us all. “Creating a Center for Global Health at the University of Wisconsin-Madison,” Academic Medicine, Feb. 2008, by Cynthia Haq, M.D. ; Linda Baumann, Ph.D., R. N.; Christopher W. Olsen, DVM, Ph.D.; Lori DiPrete Brown, MSPH; Connie Kraus, PharmD, BCPS; Gilles Bousquet, Ph.D.; James Conway, M.D., FAAP, and B.C. Easterday, DVN, Ph.D.
“Advancing integrative “one-health” approaches to global health through multidisciplinary, faculty-led global health field courses,” The Lancet special issue, March 2015, by C. Olsen, DVM; J. Conway, M.D., L. DiPrete Brown, M.Sc. ; F. Hutchins, Ph.D.; K. Paulsen, DVM; K. Solheim, Ph.D.; C. Krause, PharmD; D. Gaus, M.D. ; T. Silawan, Ph.D. Previous post: Brownbag: Where is the power?